at Overwater Marina on 8th & 9th September 2018. It's the best place to sell a share. Why bring your boat to the Show? The Boat Share Shows provide the opportunity for prospective owners to get on board and compare more shared ownership narrowboats than at any other events in the country. They can talk to owners and - for managed boats - to the management companies. At last year's National Boat Share Show, around 30 shares were sold over the weekend and in the days following. If you are an owner of a share in a boat managed by one of the four management companies BCBM, Carefree Cruising J D Boat Services or Ownashare then you need to arrange attendance at the show through them. They are the biggest exhibitors at the show and they will make arrangements for any signage, negotiate share sales with prospective new owners and take a deposit when the sale is agreed. The Boat Share Shows are now open to self-managed boats, and they will be most welcome at Braunston. Just email andrew@boatshare4u.co.uk to let us know you want to come. 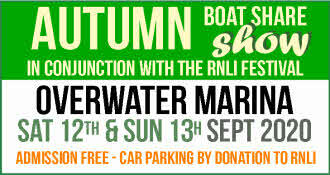 The cost for any boat attending the show is £125, whether it stays for the whole show or just one day. There is no VAT. A stand space will be provided in the welcome marquee where information about self-managed boats can be displayed and owners can be there to answer questions. This will be next to the Welcome Desk (which we man throughout the show). Payment needs to be made at the time of booking the boat in and we will send you an invoice when we hear from you that you want to bring your boat. It is not possible to refund the payment if the shares are sold before the show, as the charge for attending the show has to cover the various costs, including the major one of advertising the event, which we also have to pay in advance. The show is advertised extensively and is also publicised on a number of websites including Towpath Talk, the management companies and boatshare.co.uk and, of course, on this boatshare4u.co.uk site. The show is also in the C&RT and IWA event listings. We produce a short show guide for visitors, and all boats booked in will be listed in that. We display a plan of the site identifying where the boats on view can be found and there is extensive signage around the show site to direct visitors to the boats they can see. As boats are booked in, we often mention it on Twitter and include information on our website. Our independent share listing also highlights boats attending the show. We also prepare a boat risk assessment and various other documentation for each boat. We will need a copy of your boat's insurance certificate including the public liability cover before the show - an emailed copy is fine. Obviously the management companies provide promotional material and ensure their boats are manned during the show but, for self-managed boats, it will be down to the syndicate or the owners with shares for sale to provide the necessary information and to have people on board to show visitors round - and, we hope, agree share sales! You may want to give some thought to the way you might accept an offer for a share, whether you would take a deposit, etc. We would suggest you have a copy of the syndicate agreement on board together with information about running costs and recent maintenance. If you can't get your boat to the show but still want to take advantage of the Show to help sell your share, you can display information on the Self-managed boat stand in the marquee. We charge £25 for this to help us cover the costs of publicising and staging the event. 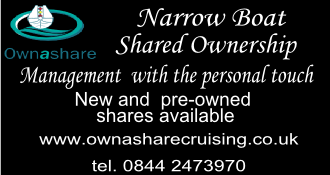 If you have any questions not answered here, please just email andrew@boatshare4u.co.uk or phone 01452 912617.